If you have been out and about recently and have seen a vehicle which sort of resembled a BMW 850i, mixed with an Aston Martin, you actually saw one of the OFFICIAL PIMPIN RIDES of the Summer. This “WHIP” is known as a FISKER COACHBUILD, and the story of the automobile is as follows. 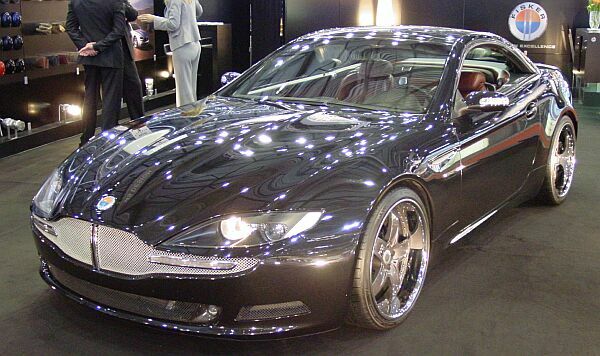 Recently released in the year 2006, the car is a design developed by Henrik Fiskerand Bernhard Koehler. Henrik Fisker is responsible for designing the BMZ Z8 (James Bond BEAMER) www.bmwz8.us as well as the Aston Martin DB9 and V8 Vantage.This New HotRod is actually manufactured in the city of Irvine CA, (The O.C.) and is only available for purchase in the U.S.A. at a total of 7 Luxury Dealerships in the U.S and only 2 other locations globally (Saudi Arabia & Switzerland) There are currently 2 types available. For Newbies And Novices, lets simply State that the Tramonto Comes With 700 Horsepower Engine, taking you from 0-60 @ 3.4 seconds.